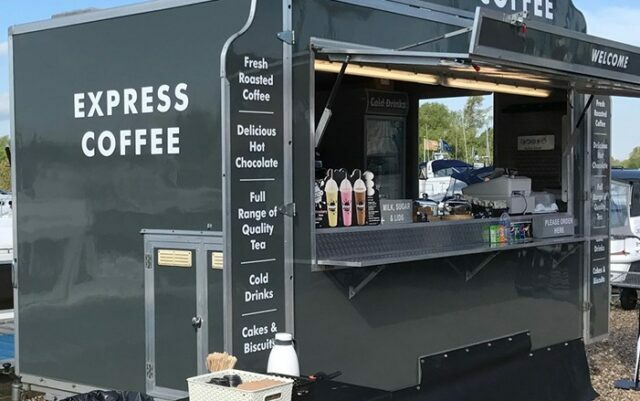 NORFOLK, UK – Express Coffee Cars Ltd is a family-owned business that specialises in providing coffee for events. Recently, they have expanded their mobile coffee bar service, adding to their fleet of unique vehicles and kiosks as they continue to expand in the Norwich area. Photos and more information about their services can be found on their website, https://www.expresscoffeecars.com/. The latest unique coffee service station Express Coffee Cars Ltd offers is an American-Style Airstream Trailer. This service station adds to a growing number of unique offerings the company provides in their lineup. It has a number of specialty mobile coffee units, including; the American Airstream Trailer, Vintage Horseboxes, Custom Standing Bars, Traditional Trailers, and their classic Kiosk setup. With huge variety of mobile coffee units, they can customise their catering setup to fit into any venue size or style. This versatility matched with Express Coffee Cars Ltd.’s unique aesthetics has allowed them to grow and expand their service offerings. At their specialty mobile coffee bars, baristas provide freshly brewed lattes, cappuccinos, espresso, cakes, teas, and more, for both indoor and outdoor events, including concerts, festivals, and conferences. Express Coffee Cars Ltd works with the client to create a package that fits the image and appropriate budget for any event. More details can be found here: https://www.expresscoffeecars.com/mobile-coffee-bar.htm. With 13 years of experience under their belts, Express Coffee Cars Ltd are able to specifically cater to any client’s needs. Express Coffee Cars Ltd also uses their five-star food rating and trained baristas to guarantee a high quality of service wherever they go.